A family dinner is not only the joy of being with your loved ones - it can also be an organizational challenge. Parking places, kiddie areas and menus tailored to their needs, the price range - all of these are vital factors in the choice of the restaurant for a perfect family outing. If the meal itself is to be a pleasure, we cannot be frantically running around in the worry that our children are safe and sound. Luckily, there are a few places in Poznań where a dinner with the kids will definitely not end in tears. There is no need to convince anyone of Śródka and Ostrów Tumski being the perfect place for a nice long walk. Over the course of the last couple of years, there are more and more cafes and restaurants on both sides of Jordan Bridge. One of them, and the newest, is Dynx. 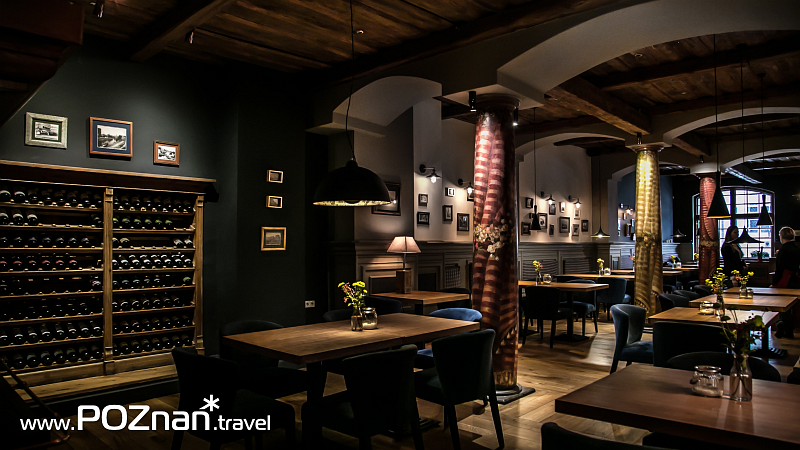 The interior design is very much Scandinavian in feeling, and the menu offers European cuisine with Polish touches, in a very impressive edition. What is really worth recommending is their excellent dessert offer. Families will be pleased to hear about the free parking facilities nearby, at Bydgoska 4A. Forni Rossi is Poland’s first certified Neapolitan pizza, prepared according to traditional recipes and exclusively from original Italian ingredients. The restaurant has relocated in 2016 and today can be found in Naramowicka St. Free parking facilities and the neighboring Warta riverside area, ideal for long walks after a lovely meal, will definitely tickle your fancy. It might be a good idea to book a table in advance. Fortezza Restaurant has been incorporated into the remains of a former 19th century fort, which was a part of Poznań Stronghold. Its pizza, pasta and salad-based menu should impress both the youngest and the older clientele. The restaurant has a spacious parking facility at its guests’ disposal, as well as a large green garden. You can sit outside in the shade of a parasol, or play in the grass away from the noisy street. A small hotel is adjacent to the restaurant. FairPlayce in Poznań’s Naramowice district has been operating for nearly a year now. Tennis courts, six squash courts, a badminton hall, a state of the art gym, a conference hall and a family friendly restaurant - all of these can be found under one roof of the FairPlayce complex. 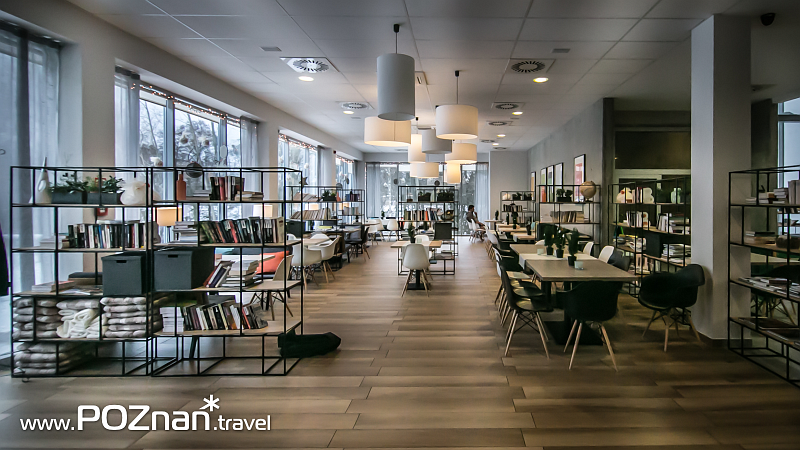 A large free parking facility, green areas around and an easy access by car are some of the extra features which might make Restauracja Nad Różanym Potokiem the perfect place for a family lunch. “Nifty no 20” has one goal, and one goal only - to be simple and tasty. 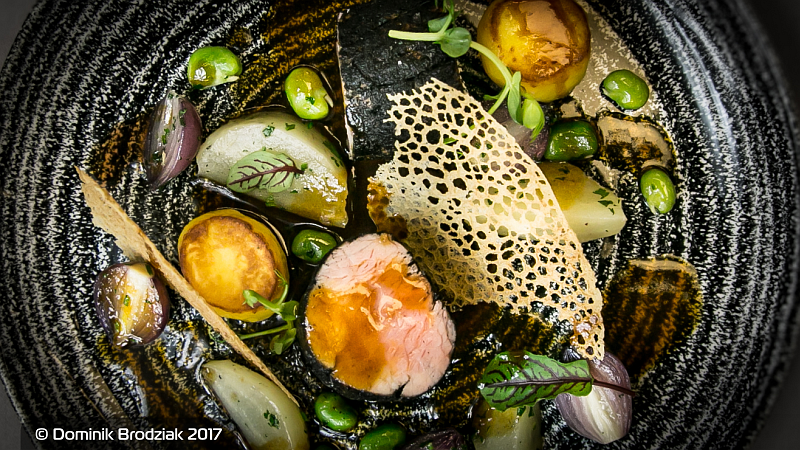 Polish and European delicacies prepared by chef Jakub Ignyś are surprising in their simplicity, as well as their intense flavour and aroma. You might wonder about Nifty’s dress code - no worries there! Your grandpa’s shirt, converse and torn jeans will be perfect - or whatever else you are comfortable in! PURO Hotel’s own restaurant has a very informal, casual atmosphere and the definitive lack of stiff rules. Friendly staff, odd-one-out style plates and board games on tables make you feel like you are visiting old friends when popping in at Nifty’s. It is also a child friendly terrace and an unusual open space at the reception desk which looks a lot like a big old living room. A completely renovated restaurant with a terrace and a lovely garden view will please the entire family. In the summer, you can sit under a parasol by the meticulously kept grass. In the winter, the kids will find a way to keep busy at their special kiddy fun corner. The cozy bar serves delicious snacks, drinks, cocktails and desserts. The restaurant serves hearty portions of tasty, traditional Polish and European cuisine dishes. A special kids’ menu and a conveniently located parking facility are additional perks. 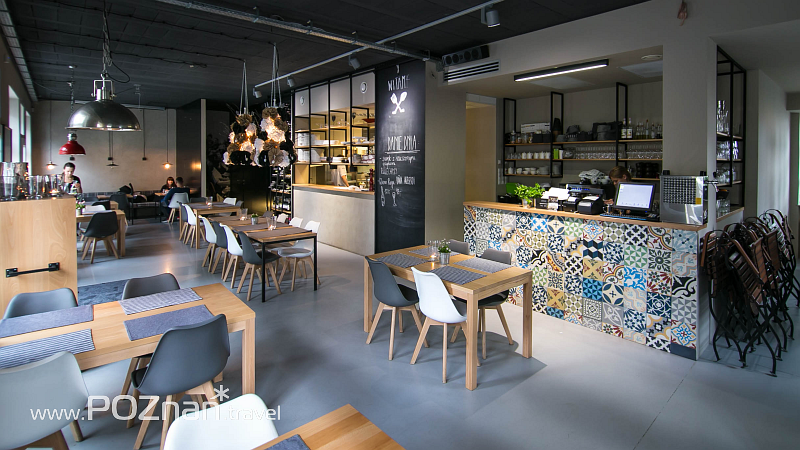 Restauracja NOVA (Stary Rynek) to 80 miejsc na parterze i 60 miejsc na piętrze oraz sezonowy ogródek. Panorama Restaurant has undergone a complete renovation. 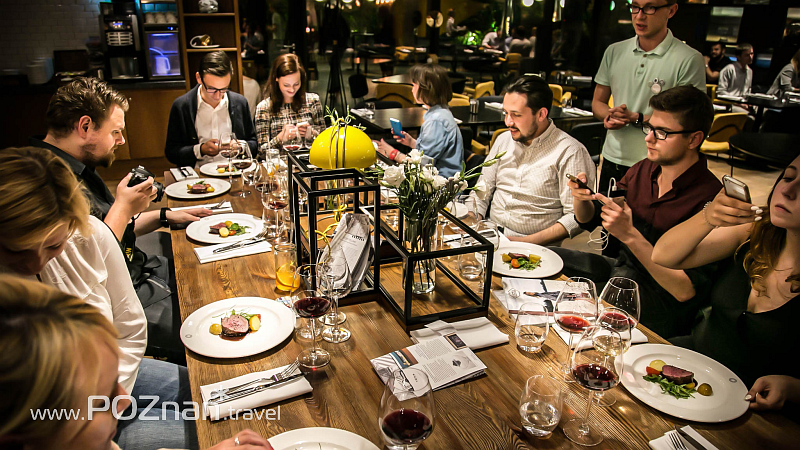 The new interiors correspond much better with the excellent cuisine served by Dominik Brodziak, one of Poznań’s top chefs. On the menu there are Polish and European delicacies, prepared with fresh ingredients and served according to the highest standards. Additionally, the restaurant offers large parking facilities, two terraces overlooking Lake Malta, direct access to the lakeside walkway and bicycle rental possibilities. Tasty pizzas, salads and pastas served at Umberto have one fundamental advantage over any other Italian restaurant in Poznań - they are served at the very heart of the Citadel Park. Regardless of season, it is one of Poznań’s most beloved family walk destination. The Citadel is frequented by the young, the old and the four-legged. Umberto will charm the adults with its cuisine, the kids with a real jungle growing in the restaurant, and the doggies with the possibility to spend time at their owners’ feet. There is also a great playground right outside the restaurant.